Also on tap this week is a gig that — full disclosure — I had a hand in putting together. 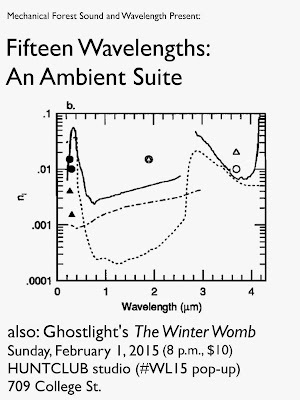 This night will see some experimental sounds take over Wavelength's pop-up galley at Huntclub Studios, with Ghostlight (the abstract/improvisational offspring of Mean Red Spiders) offering "a multimedia performance evoking the darkness of Arctic hysteria evolving into the midnight sun". The first half, meanwhile, will see a specially-chosen complement of top-notch players interpret "Fifteen Wavelengths: An Ambient Suite", a surround-sound piece created in honour of Wavelength's 15th anniversary. 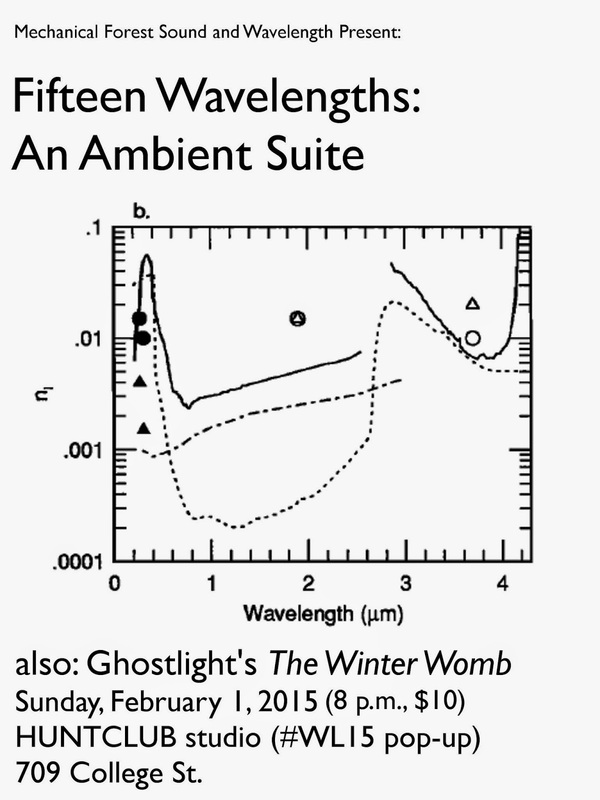 The music will be spontaneously composed by musicians responding to a series of fifteen synthesizer tones by Jonathan Adjemian. The goal of the slowly-unfolding improvisation is to create a musical Möbius strip, comforting and enveloping.